When we bought our RV we had an option to add an additional Arctic package that we opted not to get. Without the package our RV was already rated to be able to survive 0°F temperatures without a problem and we really didn’t think we’d be staying in weather that cold anyway. Also, with the package we would have had two floor vents for the additional furnace capacity and we really didn’t like the idea of floor vents since without it all the vents were above the floor in cabinetry. On the other hand, the package also included additional insulation for the water pipes which might have been good to have. 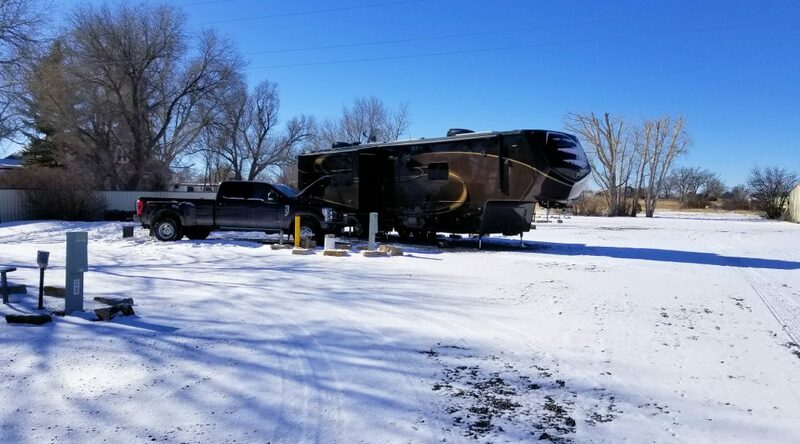 As full time RVers with relatives in Colorado our thoughts about never going to really cold places in the winter was maybe a bit short sighted. In our first winter we decided to go to Colorado for Christmas and as luck would have it, the warm weather the area was enjoying before Christmas was forecast to change. In fact, we decided to stay in Capulin, NM and there was already snow on the ground when we arrived about a week before Christmas. Low temperatures were already in the mid-teens and low 20’s and this provided a good opportunity for us to figure out how to survive cold weather in our RV. We had been in freezing temperatures at night before but daytime temperatures had been above freezing. Now we had several days of temperatures below freezing. 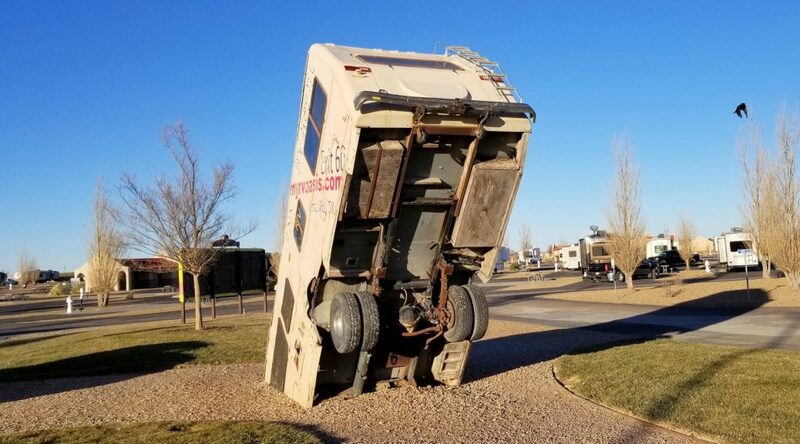 We stayed in Capulin RV Park for 2 weeks in December leaving the RV here while we drove to Colorado to spend a wonderful few days at Christmas with our kids and grandkids. 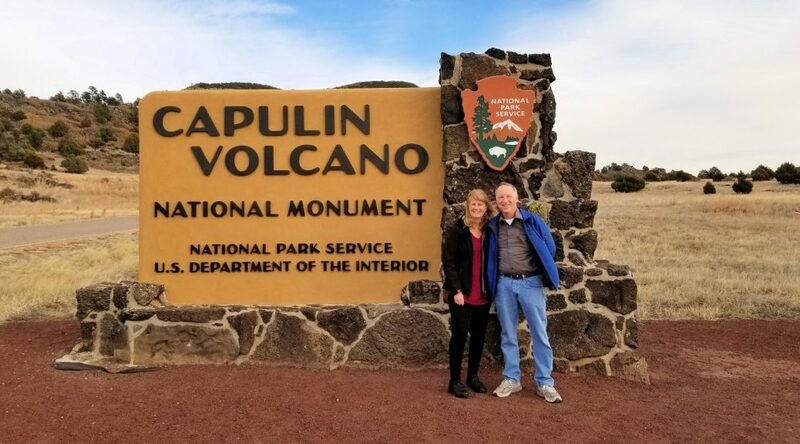 We arrived in Capulin a week before Christmas so we could experiment with how to operate in the extreme cold weather including finding ways to reduce our propane use so we wouldn’t run out while we were away in Colorado. Many days here started out with single digit temperatures, negative degree wind chill and rarely got above freezing for a high. It was just miserably cold weather but it offered a good opportunity to figure out how our RV works in this kind of weather. Our camp hosts, Mark and Michelle, were extremely nice and kept the park very clean. They went out of their way to make sure we had everything we needed and were comfortable during our stay. We would definitely camp here again because of their hospitality and willingness to watch over our ‘home’ while we were away. However, the 21 mile drive each way to Raton and back for gas, propane, groceries, etc. made it a bit more remote than we would normally choose (especially since the highway was closed several times for ice and snow storms). We were so glad to leave the area and get back to a bit warmer weather further south. We stayed at Oasis RV Resort in Amarillo, Texas for a week in December as we made our trek west. There was a mall and some larger stores there so we could do some shopping for Christmas. This was a very nice park with lots of space, amenities and it was well maintained. There were no trees so staying here in the summer would be very hot but for this cold and windy time it was a good find. The first day there we had to go to The Big Texan Steak Ranch! We had been there before when passing thru. It has a great variety of steaks and that was what we were hungry for. It advertises that if you can eat a 72 oz steak and all the sides in 1 hour then it is free. There is an elevated table set up with timers in the front of the restaurant for anyone who want to take the challenge. We did not even try! The whole ranch is a fun place to visit. There is a line of limousines with longhorns mounted on the front to shuttle people to and from the ranch. Inside is an over-the-top western decorated restaurant, a gift shop, western arcade and large desert counter. Lake Arrowhead SP is near Wichita Falls and back in prairie land. Here you will find oil, mesquite trees, cactus and miles of flat prairie. 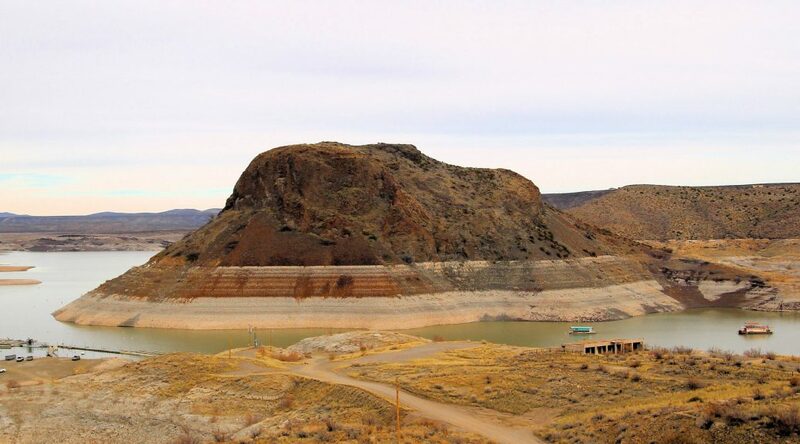 December was not the prettiest of time to be here with everything brown and barren. A much better time to visit here might be spring or early fall. Summer would just be hot! When we pulled into our assigned spot we see lots of prairie dog mounds. 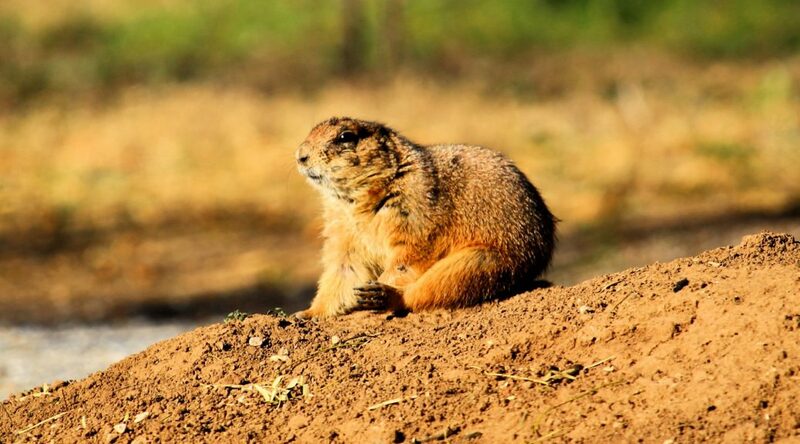 Dozens of prairie dogs were all around our site. They are doing their little squeaking/barking trying to warn all their friends about our intrusion as they head for the safety of their homes in the tunnels. Our first thought was to move somewhere else in the park away from them but then we decided they might be fun to watch. They’re pretty cute but we later discovered they had been feasting on our extension cords! Lesson learned – you need to keep smaller cords off the ground, luckily they didn’t eat our water hose or our main power cord to the rig.